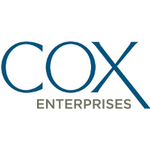 Vin Solutions, a Cox Automotive brand, is seeking a Software Engineer II for a permanent position in Mission, KS. The Software Engineer II writes and maintains code within applications and systems to implement capabilities and features, improve performance and maintainability, while reducing technical debt in alignment with product and technology roadmaps. The Software Engineer II plays a role in Agile planning, providing advice and guidance, and monitoring emerging trends. Works with Product Management to understand the challenges that customers and end users face in their day-to-day work and partner with them to design viable solutions. Recommends viable solutions to processes, technology, and interfaces that improve the effectiveness of the team and reduce technical debt. Foresees capacity requirements for component usage and identifies limitations. Provides input into story sizing, backlog grooming, and release planning. Contributes to product and solution designs to address critical issues and complex problems. Builds software applications across multiple platforms in response to the needs of stakeholders. Understands technical architecture and writes software and automated tests that are aligned with agreed upon standards. Performs trouble-shooting efforts and investigations when necessary. Provides ongoing support, monitoring, and maintenance of deployed products. Actively works with less experienced software engineers providing technical guidance and oversight. Actively participates in the engineering community, staying up to date on new software technologies and best practices and shares insights with others in the organization. Experience consuming and creating web services in a .NET environment.